And every place is rooted in history. Winter hours start October 31st! Wednesday and Thursday, 4-9 pm. Friday and Saturday 1-10 pm. When brewmaster Kevin Ely first visited the historic Ohio farm that would become the Wooly Pig Farm Brewery, he knew he’d found the perfect site for a brewery that would combine old-world traditions with an innovative vision. The farm’s patchwork of pastures, woodlands, and tilled fields transported him to the hills of Northern Bavaria, where he’d honed his taste in classic German beers and expertise in cutting-edge brewing techniques. 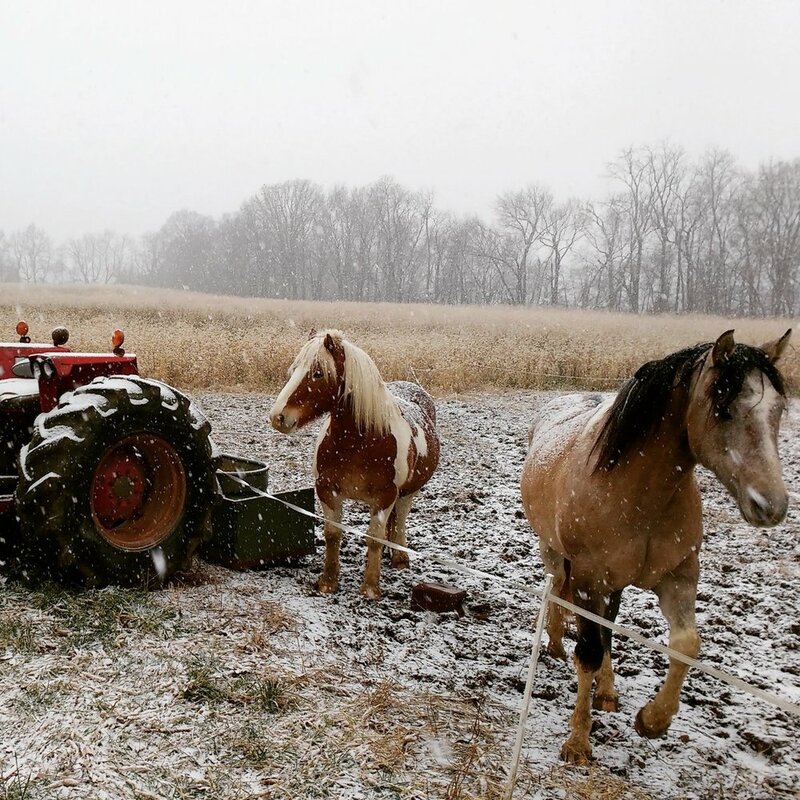 When the 90-acre farm became available in 2014, the opportunity was not lost on Kevin and his wife, Jael Malenke, who grew up on a homestead less than a mile away. They’d long dreamed of opening a craft brewery that honored the German tradition of teaming beer with farming and community, so they purchased the farm with Jael’s brother, Aaron Malenke (a farmer), and his wife, Lauren Malenke (a veterinarian)..
Today, the Wooly Pig Farm Brewery occupies a converted barn that once housed a tractor and plow. Its beers are sourced from the same natural spring that nourished the Norman family, their animals, and their crops for generations. Between the brewery and the old farmhouse, 12 varieties of hops climb 20-foot-tall trellises. The tasting room has given new life to rustic planks and hand-hewn beams rescued from a collapsed outbuilding. And the curly haired mangalitsa pigs that Kevin admired while traveling from brewhouse to brewhouse in Bavaria? They love foraging for walnuts on the farm’s hillsides and will soon supply cured meats for the tasting room. The farm is not only home to wooly pigs, but also sheep and horses—all tended by Aaron and Lauren, who built their off-the-grid house near the northern edge of the property. The whole family is committed to sustainable farming practices, preserving the farm’s natural resources, and minimizing the brewery’s footprint. 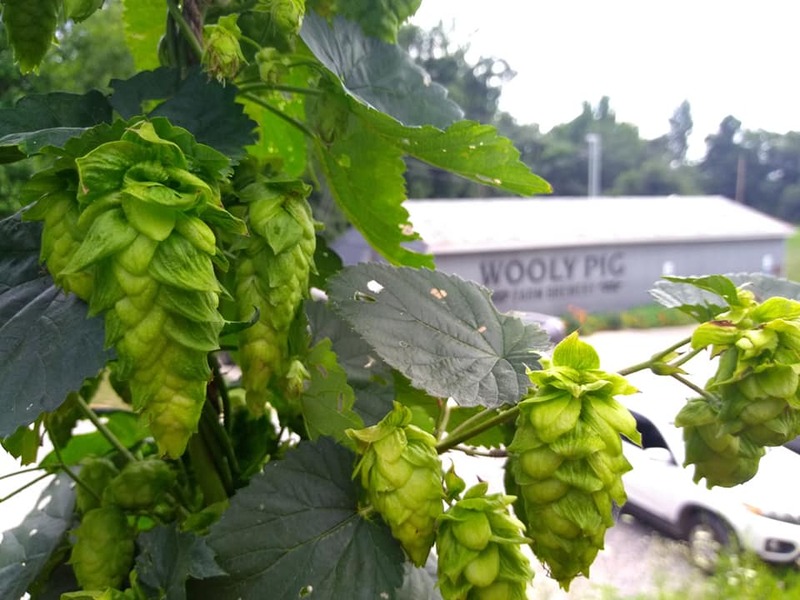 The Wooly Pig Farm Brewery is the first of its kind in central Ohio, but it carries on a long legacy of hard work, connection with the land, and commitment to community. Join us for a beer, and make our story part of yours.